Basking in the glow of this fabulous Old Mine cut diamond ring! Shop this jaw dropper HERE. Rich, deep red. That's how we like our Victorian garnets! Shop this gorgeous ring HERE. Classic or bold?? 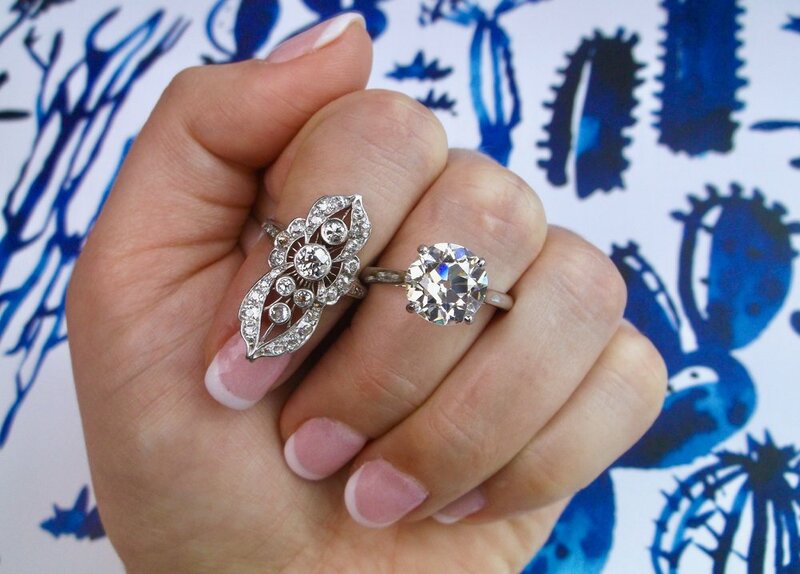 (...we don't think you can go wrong with either Art Deco diamond ring!) Shop these beauties HERE and HERE. Art Deco beauties! Shop these diamond rings and many more HERE.